St Francis de Sales were lucky enough to be invited to attend a special multi faith football event hosted by Liverpool Football Club. 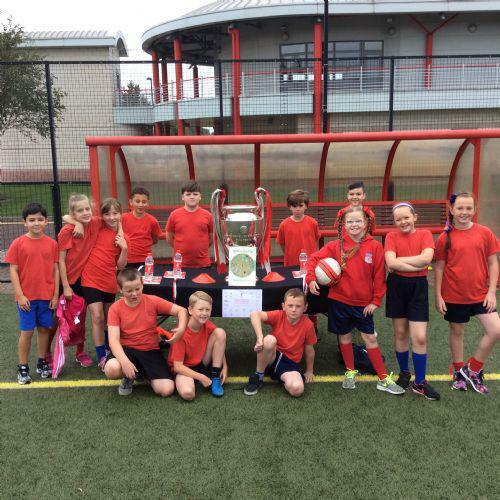 A selection of year 5 pupils made the trip to the Liverpool Academy where they joined eight other primary schools from across Liverpool. The focus of the day was to promote ‘Friendship, Faith and Football’ and was kindly supported by the Merseyside Council of Faiths and The Liverpool Community Spirit. The expert LFC coaching staff took the children through a number of fun activities, encouraging the children to work with pupils from all the schools that attended. All the children were then given the opportunity to score a goal at the famous training ground (with non-disappointing!). As always all the St Francis de Sales pupils represented the school fantastically and this was noted by the LFC coaches.